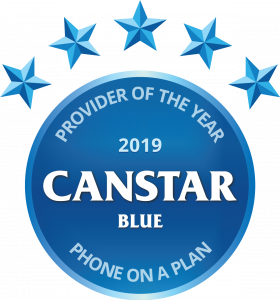 Canstar Blue is all about helping Aussies make better-informed purchase decisions, whether it’s appliances, electricity, new cars, or phone and internet plans. When it comes to telcos, we publish annual customer satisfaction ratings to show which phone and internet providers are best-rated by their customers. But now we can also leverage the data from our comparison tools to show you – based on our expert methodology – which phone and NBN providers are consistently offering superior value. We want to give you as much information as possible before deciding which telcos to choose. Canstar Research Manager, Mitch Watson, said: “These awards are all about finding out which telcos are consistently offering great value for new customers. Phone and internet costs are generally going down, but cheap prices don’t always translate to the best value. That’s why we’ve built comparison tools that allow Aussie consumers to compare based on the cheapest prices, but also the value proposition offered by the telcos, including the data provided, as well as the features included, and the telco’s customer service offerings based on our data collection and research methodologies. Exetel emerged as the Provider of the Year – NBN Plans, having performed consistently well relative to the market, offering strong value propositions across its 100GB, 500GB and unlimited data plans on Basic, Standard Plus and Premium speed tiers. Exetel offers customers 12-month and no lock-in contract NBN plans, with some of the cheapest prices around. It also performs well when it comes to typical evening speeds. Exetel may charge customers up to $10 more each month for the flexible option, but going for the 12-month term brings a free Wi-Fi modem. Unlimited home phone (VoIP) calls can be added to either 12-month or no contract plans for $10 extra per month. “In a hugely competitive NBN market, Exetel has proven itself to be a serious challenger to the biggest providers, now offering an enticing value and service proposition to those getting ready to make the switch to the NBN, plus those already on board with another telco,” said Mr. Watson. Across the different consumer profiles considered, Optus was found to be a standout performer, based on its cumulative performance, when it comes to phone plans that include paying for a handset. Combining very competitive prices with feature-packed mobile plans, Optus is an enticing option for those who want to spread the cost of their phone over a traditional two-year contract. With plans available across a range of price and data points, Optus also offers customers some of the most appealing features. Depending on the plan customers choose, plans could include money and data-saving extras like unlimited international calls and texts, data-free music and mobile TV streaming, and included gigabytes for overseas roaming. Optus also throws in heavy data allowances of up to 200GB per month on its higher-end plans. “Despite facing strong competition from the other major telcos, Optus continues to offer customers an attractive variety of plan and phone options,” said Mr. Watson. Despite the huge range of budget providers and plans now available, Vodafone’s suite of SIM-Only mobile plans has seen the brand continue to outperform its competitors in the bring-your-own-device market for mobile plans. The telco’s focus on big data inclusions – including unlimited slowed-down data to prevent bill shock, plus bonus data – make it a popular choice for heavy users, particularly on 12-month SIM plans. With no-contract and year-long SIM-Only options available, Vodafone also offers customers flexibility. Consumers can elect to add Vodafone Passes from $5 extra per month, which provide unlimited data-free use and streaming from partnered services, including Netflix, Spotify and Instagram. Customers can also save by bundling plans with other Vodafone services, with additional discounts available for students. Long associated with overseas calling plans, Lebara’s Provider of the Year – Prepaid Mobile Plans award reflects the telco’s focus on offering a quality service at reasonable prices. With simple, hassle-free plan options, Lebara’s prepaid service includes 30-day and long-expiry phone plans, all of which feature unlimited international calling to selected countries. Additional features include generous data allowances, the option to bank up to 200GB of extra data, and data bonuses for recharging on time. Lebara also offers international calling add-ons for customers, so Australians can easily add extra minutes to their plan each month, and unlimited international plans tailored to specific countries. How did we determine the telco providers of the year? The winners are determined by the cumulative performance of each provider across a range of consumer profiles within each category considered, over a period of 6 months. The awards consider a provider’s best performing product within each consumer profile, and considers the plans value proposition relative to the market based on Canstar Blue’s Value Rank for Mobile and NBN.